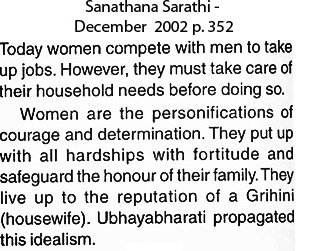 This entry was posted on October 31, 2011 at 8:22 pm	and is filed under Cults, Sathya Sai Baba. Tagged: female emancipation, Ladies Day, male chauvinism. You can follow any responses to this entry through the RSS 2.0 feed. You can skip to the end and leave a response. Pinging is currently not allowed.